Can You Guess The Painter? 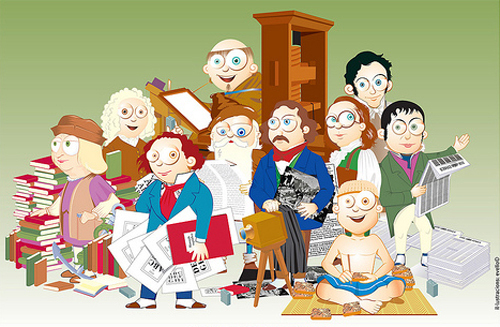 From top left to right: Andy Warhol, Johan Vermeer, Vincent van Gogh, Jacques-Louis David, Piet Mondrian, Frida Kahlo, René Magritte, Jackson Pollock, Pablo Picasso, Mark Rothko, Paul Cézanne, Salvador Dali, Georgia O’Keeffe, Georges de La Tour, Roy Lichtenstein, Claude Monet, Rembrandt van Rijn, Jasper Johns, Damien Hirst, Henri Matisse, Edgar Degas, Marc Chagall, Gustave Courbet, Marcel Duchamp. Happy Friday everyone! The other day I was reading an article about the addicting game, the Logo Quiz, available for the iPhone and iPad, and decided to give it a try. The author of the article was right…it was quite addicting! You tell yourself that you are going to put it down and walk away, but then you see a commercial that sparks a brand aha moment, and you get sucked right back in! The concept of the game is very simple—identify as made brands as possible to unlock higher levels and keep playing. P.S. the screen shots below are from my phone, so disregard the check marks and the # of hints. Enjoy! 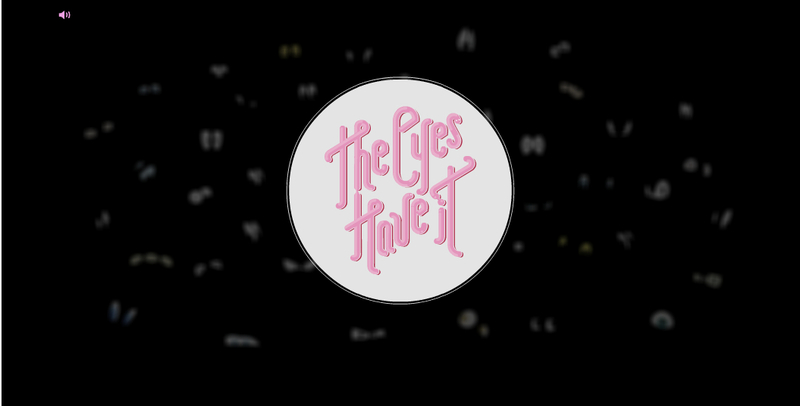 The Eyes Have It is a super fun game created by Yoni Alter, Sean Dekkers, and Patrick Wolleb. The premise of the game is to match the eyeballs of an animated cartoon character to their body. 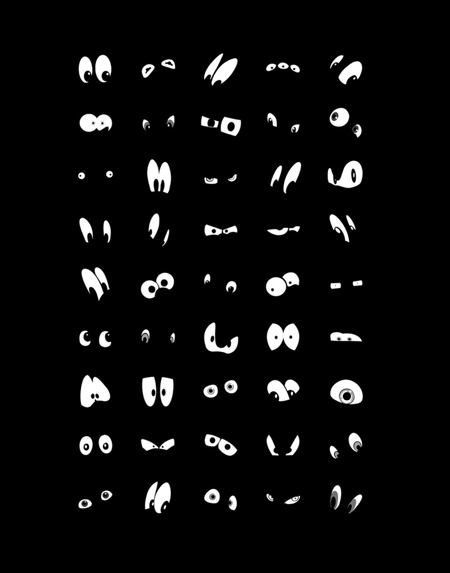 A body of a character will appear on the screen and you will have to guess which pair of eyes belongs to them. Try and guess all of the characters in the lowest time possible, and then brag about it via Twitter or Facebook. The game has three levels, so you can build up as you get better. You can also buy the prints of all of the eyeballs (one of the four available prints is pictured below) at The Eyes Have It Society6 Store. Have fun and comment with your best time! The premise of the game is pretty easy…click on all of the letters that have serifs and avoid hitting any of the letters that don’t. As you progress, more and more letters start appearing in the window, and you are only allowed a certain number of errors before you lose. The game has three different levels, so it’s fun for everyone! This is a memory card game, based on famous fonts and typographers. There are four levels, which greatly vary in difficulty. 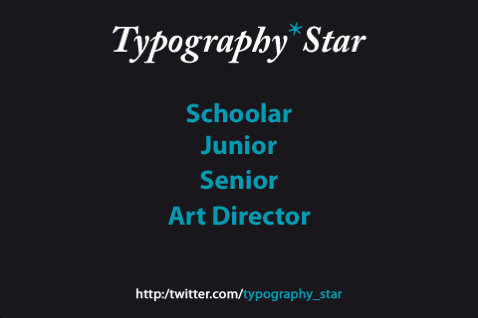 The Schoolar level shows you both the letter and the name of the font to memorize, the Junior level only gives you the letter, the Senior level gives you a letter which you have to match to the name of the font, and the Art Director level makes you match a letter to its font creator. 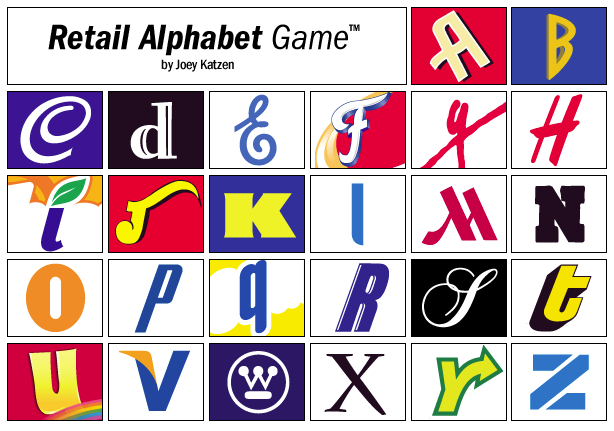 A few years ago, a friend of mine sent me a link to the Retail Alphabet Game (now in its fifth edition), and I got hooked. I immediately sent the game to all of my coworkers and as a group we were able to guess all of the 26 brands. If you need a fun time waster, this is it! Editions 1-4 have answer keys (don’t be tempted to cheat), but the current edition doesn’t, so you might need to turn to some of your friends and coworkers for help. Good luck! If you can’t guess a certain letter, leave a comment…maybe a fellow reader can help you out. *Helpful Hint: Remember, each letter isn’t necessarily the first letter of the brand name. Do you think you know your fonts? 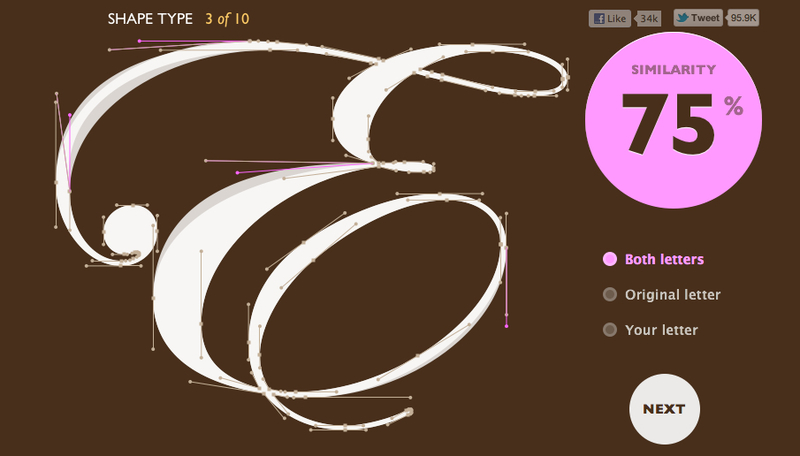 Play the Shape Type game of forming letters of famous typefaces. 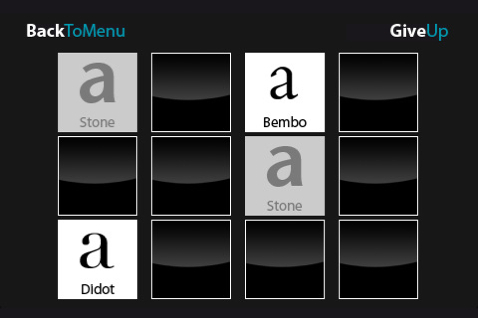 The game includes ten letters that you must shape to match the original form of the letter in each particular typeface. So test your skills! What was your best overall score? 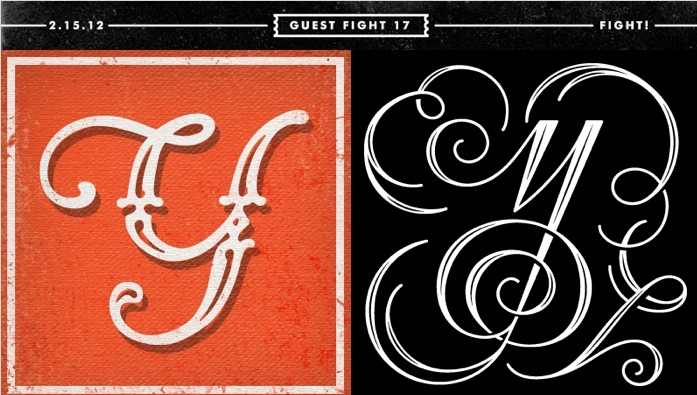 Type Fight is a project by designers Drew Roper and Ryan Paule where they each design the same letter and pin them against each other in the “typographic ring” to battle it out for the best looking character. You get to vote on the letter of your choice each week, helping it earn the honor of being crowned the victor. 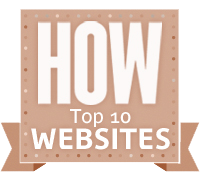 The site also frequently features guest designers, which is great for a variety of design styles and outcomes! For the past few years my friends and I have been playing BINGO while watching the Golden Globes, the Grammy’s and the Oscars. It’s a great excuse to host a party, get some people together and give Joan Rivers a run for her money while dishing on the red carpet! 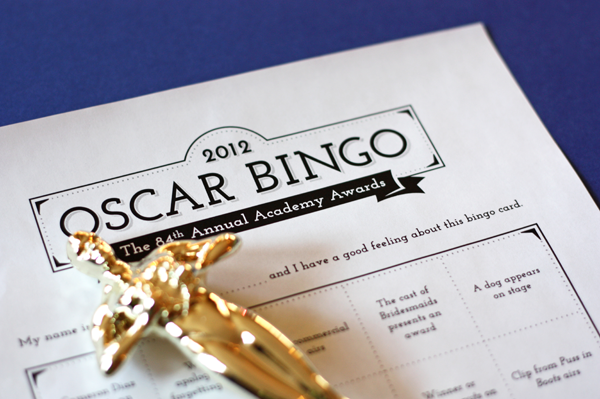 Jessica Jones of How About Orange created 20 BINGO cards for those thinking of hosting a small get together for the 2012 Academy Awards on February 26. This year she also created ballots to go along with the BINGO—so doubt the fun. In my group of friends a different person usually hosts each awards show, and we have a small statue that we pass from winner to winner with each award show that goes by! Sometimes I person wins within the first 20 minutes—and sometimes it’s the last category that gets the win. You can download all of BINGO and Ballot cards here! 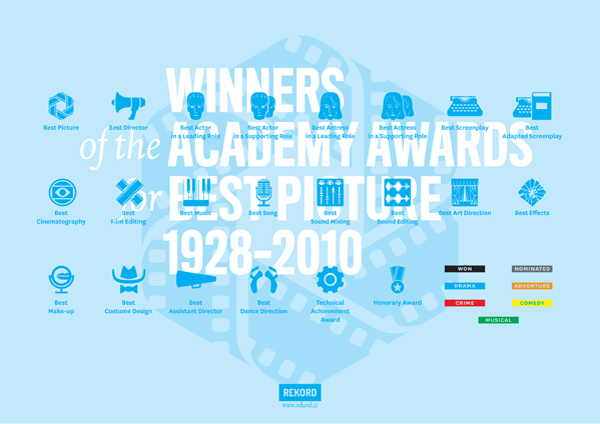 Also, if you are a big Oscar’s buff, download this awesome infographic created by Rekord chronicling all of the award winners from 1928 – 2010. So what exactly is kerning? Kerning is when you adjust the spacing between letters in a piece of text. 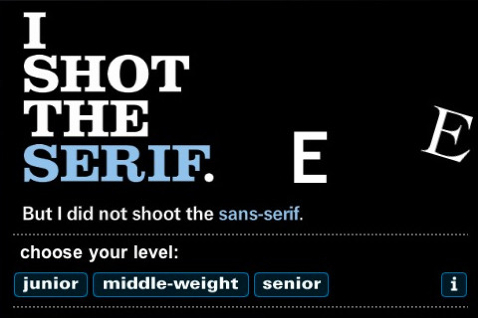 Now there is a fun way to test your kerning skills! 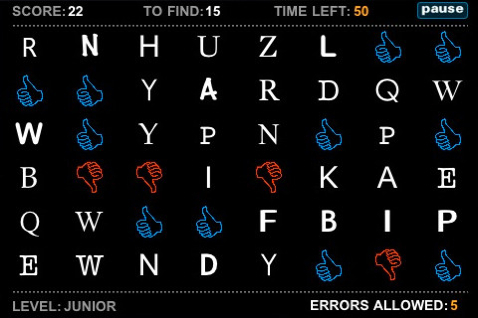 Play the Kerning Game to test your kerning ability and have some fun with typography. I managed to get a 100% on a few :) What was your best score?